This online coupon site has been developed in 2013 itself and is the one stop solution for all types of coupons and all these coupons are available for free. 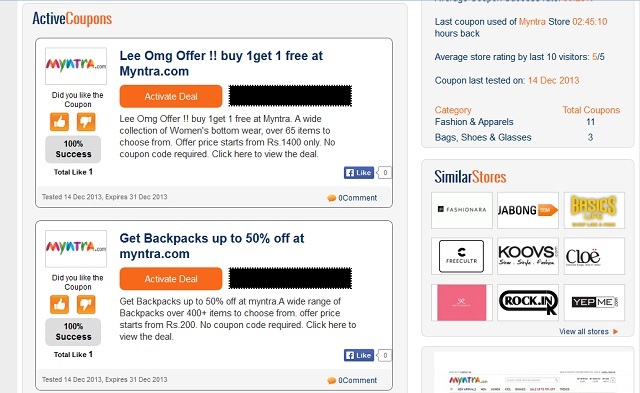 There you can find all sorts of coupons for the popular and leading online shopping sites like Myntra, Zovi, Jabong, yebhi, Flipkart and so on! 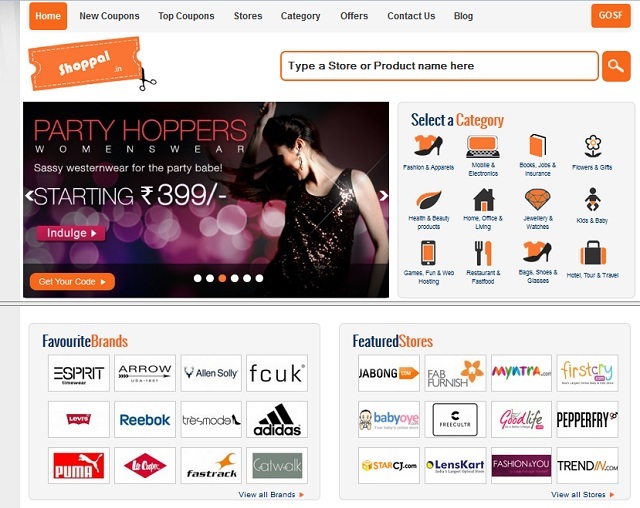 You can get coupons or discount codes for clothing & apparels, shoes, jewellery, home interiors, furniture etc. All you get to do is to choose the desired and available coupons and click it as it will take you to the concerned shopping portal where you may use the code and save some bucks!! I like this feature of theirs that you can also share the coupon with your friends on Facebook as they have a tab that allows you to share it on FB. They customer care service or helpline too that is happy to help customers! I find it interesting!! · "Deals of the day” tab helps you to find out the deals that are there for the limited period and you won’t want to miss that! · “Select a Category” takes you directly to the particular category you are interested in or looking coupons for. · Their blog is integrated with the website to make it easier for us to share comments and suggestions. It seems like a promising and user friendly site. So, don’t forget to utilize it while you shop online and save some money!! Had not heard of it.. Need to check it out..
Nice. I got to know abt some new online stores from this coupons site.